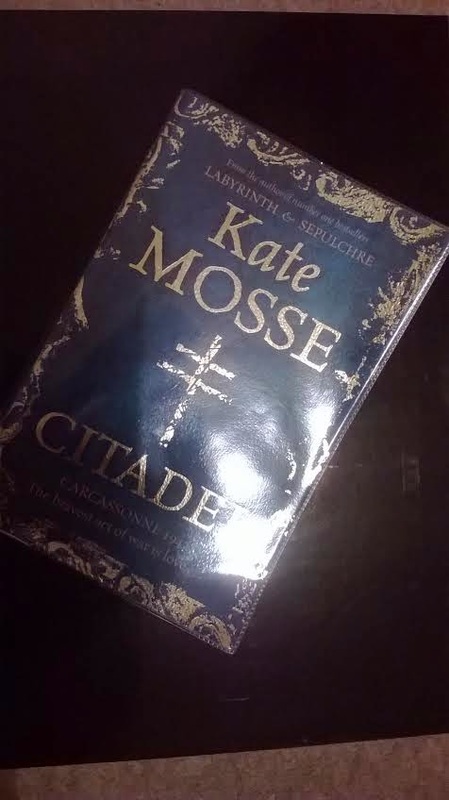 Kate Mosse is a brilliant writer who brings the past to life. I love historical fiction, especially when blended with supernatural elements. Who isn't intrigued by the past events that have helped shape our world today? I've read Kate Mosse's previous books in this trilogy, Labyrinth and Sepulchre as well as The Winter Ghosts, so I knew I'd be in for a treat. The setting of the novel is in Carcassonne, the south of France during the second world war. Straight away Citadel is strikingly rich and vivid in detail but not bogged down with endless information dumps and soon you're transported to the author's world of war time France. Kate Mosse is a master of conjuring imagery. She can paint a thousand pictures with one word. The pace is quick and there are many intriguing characters with their own secret pasts and hidden agendas. It's an exhilarating read and hard to put down. As you continue to read you really feel with the main characters and identify with their individual dramas and hardships. Sometimes it can be an uncomfortable read as although they are not real the events and situations they endured during Nazi occupation were very real. I actually found this book really scary at times, Authie was a particularly terrifying character, and at times it made for uncomfortable, but riveting reading. I stayed up until 3 am to finish reading it as I just had to know what happened in the end. I think the reason why it seemed so terrifying is that this novel seemed so real. It was based on the second world war and it really resonated with me, as although fictional there would have been real people, like Authie operating in power and also people like Sandrine who were fighting them. I found this book just really got to me. I too felt the sense of constantly being watched and even as a reader you can feel trapped at times like the characters were. Sometimes I felt like I needed to take a breather this book is just so intense. To sum up, this is a great book, it's action packed, moving and thrilling to say the least. I guarantee you will enjoy it. Would Sandrine have become involved with the resistance if she hadn't met Antoine? Is Lucie selfish or naive? When she exposed Sandrine in order to learn where Max was, was that deliberate or did she not realise the implications? When trying to gain access to the camp where Max was being held, she came across as very calculated, but at other times she seems unaware of what's really happening around her. How does the war affect Sandrine and Raoul's relationship? Would they have fallen for each other had they met under different circumstances. If Marriane's and Sandrine's parents had been alive, would either have the sisters become involved with the resistance movement? Or would their parents have joined the cause along side them? How do you feel about the ending of the book? Do you find it controversial? P.s there are more reading group questions within the novel as well as additional information about the locations featured in Citadel.